Shark DuoClean Powered Lift Away Speed NV803, REVIEW * Close Look! Review of the NEW Shark DuoClean Powered Lift-Away Speed (NV803) Bagless Upright Vacuum! The Shark DuoClean Powered Lift Away Speed NV803 is Shark’s Lightest Weight Powered Lift-Away Upright model and features the new DuoClean Technology. 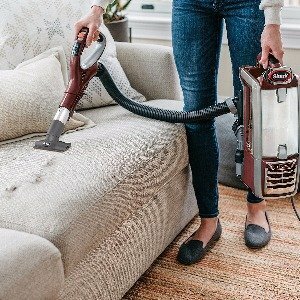 It is designed to be a Whole-House, All-Purpose Vacuum equipped to deal with all of the more challenging cleaning issues such as Pet Hair, Hardwood Floors, Stairs and more. DuoClean Technology – Shark claims to have solved the age-old problem of one vacuum to deal with the three basic types of dirt found in any home – Stuck-in Debris found in carpet, Clingy Dust on Hardwood and Smooth Floors, and Small and Large Debris found on both Carpet and Smooth Floors. 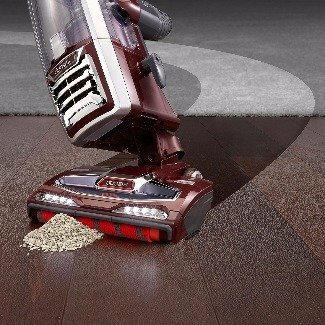 Powered Lift-Away – This feature is unique to Shark vacuums and it allows you to detach the Motor/Canister Module from the carriage to extend the reach of the motorized cleaning head for tasks such as cleaning under low-clearance furniture. Or, attach the Mini Motorized Brush to the Flex Hose for cleaning Upholstery, Stairs, or Pet Beds. Above-Floor Mode – Detach the Handle to use it as a Wand to reach and clean Ceiling Fans and other above-floor areas. Advanced Swivel Steering – Shark’s Swivel Steering gives the NV803 a nimble feel and enables you to easily maneuver around obstacles. 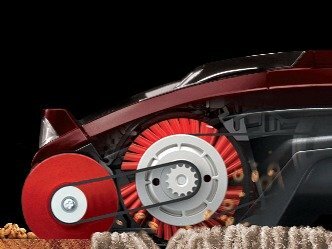 Bright LED Headlamps – Powerful LED Lights help you see where the dirt is. 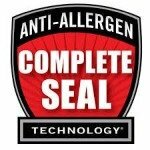 Anti-Allergen Complete Seal Technology – A sealed HEPA Filter System traps up to 99.99% of Allergy-Causing particulates including, mold, pollen, pet dander, dust mite, and dust mite feces. 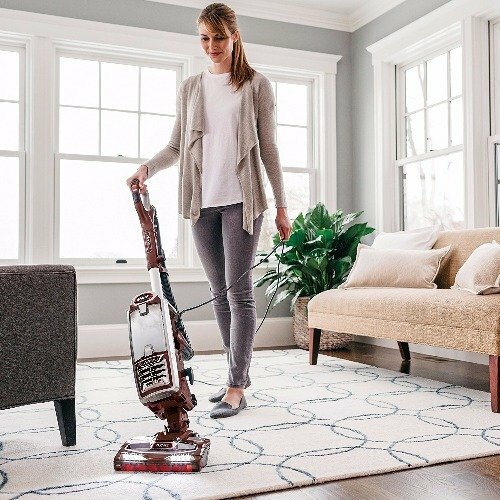 Every now and then a new vacuum cleaner is introduced that promises to solve a common problem typically encountered while vacuuming. These promises are usually the results of a new innovation or technology. Of all the vacuum cleaners I have reviewed I have found that most of the time the new vacuum doesn’t live up to the promises and is more hype than help. I believe this is often the cause of faulty marketing strategies that decide to release a concept product before it is fully developed, tested, and perfected in order to beat the competition to the draw. Shark calls their latest breakthrough life-changing technology “DuoClean” and is offering it on their new DuoClean Powered Lift Away Speed NV803. Already I have read quotes by some tech review blogs calling it “The Ultimate Pet Hair Vacuum” and “Shark’s Most Advanced Vacuum Ever!” Those are some pretty tall claims! I have observed SharkClean by EuroPro evolve as a company over the last 10 years to become an innovative force in the vacuum cleaner / floor care industry. They have continuously improved their products and consistently raised the bar when it comes to developing new and practical technology that actually works in the home and not just in the lab. Before reviewing the Shark DuoClean Powered Lift Away Speed NV803 I was already up to speed on the DuoClean Technology introduced October 2016 on the Shark Rocket with DuoClean (HV382) motor head vacuum. I was very impressed with it and I had hoped to see it made available in a Traditional Upright Vacuum format. If you share your home with pets you probably encounter paw prints in the kitchen and other smooth floors, dry pet food and kitty litter on carpet and smooth floors, pet hair on hard floors and carpet as well as on furniture, and also pet dander, especially in the carpet. The way DuoClean works is there is a Secondary Soft Powered Roller in the front of the nozzle is intended to removes the clingy dirt from smooth floors, kind of like a dry mop. It also works for large and small debris such as dry pet food and cereal to embrace it and roll it in to position to be sucked up instead of flinging it across the floor like a typical Brushroll. The Second Roller (hence DuoClean) is a powered Brushroll with relatively stiff bristles designed to dig out stuck debris found trapped in carpet pile to be sucked into the vacuum. Coupled with the powerful suction the DuoClean performs exceptionally well on all floor surfaces tested including low to lush pile carpet and smooth floors. Using the detachable Handle/Wand Assembly it will telescope long enough for a 5’ 8” person to easily reach and clean a ceiling fan 10 ft. above the floor with the dusting brush attached. The Handle feels comfortable in the hand and has the Control Button located on the top where its easy to reach. You can collapse the Wand for cleaning counter tops, shelves, or furniture. With the Mini Motorized Brush attached you can easily clean carpeted stairs. This is a heavy traffic area that causes the pile to become matted down making it one of the more challenging areas to clean. A Sealed HEPA Filtration System traps 99.99% of Allergy Causing micro particulates as small as .3 Microns makes the Shark DuoClean NV803 Speed a very smart choice for allergy sufferers. Throughout the numerous vacuum reviews I have done, when it comes to the filtration system I have always attempted to explain that a HEPA Filter is of little value if it is not encased in a Sealed System that eliminates any leaks around the filter compartment or channels. Too many customers are duped into believing that just because the vacuum they are considering has a HEPA filter that it is safe for Allergy Sufferers. It’s just not so! Watch this VIDEO Demonstration of the New Shark DuoClean Powered Lift Away Speed NV803! The DuoClean feature is without a doubt the focal point of the Shark DuoClean Powered Lift Away Speed NV803. This innovative feature sets it apart from any other Upright I am aware of at this time. The Shark DuoClean Powered Lift Away Speed NV803 gives impressive cleaning performance on all carpet types including plush. Hardwood Floor performance is pretty amazing! The Soft Roller enables you to move from carpet to hardwood floors and get exceptional results. The Powered Lift-Away feature is very useful, especially in larger homes for above-floor cleaning including stairs, furniture, ceiling fan blades, etc. You do give up a little because of the 11 in. vacuum nozzle ( Full-Size Uprights typically have 12” to 13”) which means it takes a few more passes per room than with a full-size upright. The payoff is that the NV803 is easier to maneuver, especially with the Swivel Steering. If you have Pets in your home the Shark DuoClean Powered Lift Away Speed NV803 is one of the best all-around Pet Hair Vacuums as far as dealing with pet hair on all surfaces. Also READ: Best Vacuum for Pet Hair . The smaller 0.9 qt. Dirt Cup can fill up relatively fast if you have a large shedding dog or multiple pets. A full-size upright typically has a Dirt Cup capacity approx. 1/3 larger. Keep in mind, the Shark NV803 is a Lightweight Model. You can’t have your cake and eat it too! 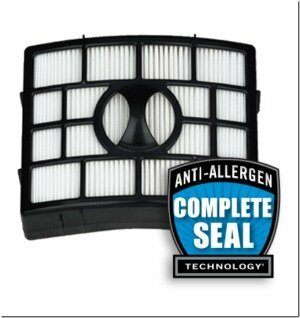 The Sealed HEPA Filtration System is a major plus if you are an allergy sufferer. Shark Upright Vacuums typically receive very high customer review ratings. Only time will tell if that trend applies to the Shark DuoClean Powered Lift Away Speed NV803. 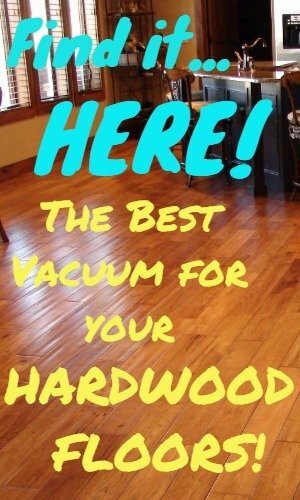 I view this vacuum as a good fit for anyone with pets in a medium to large home. A smaller person will appreciate the relatively lighter weight and easy handling. Overall, I am very impressed with Shark NV803 and with the 5 Year Shark Warranty I don’t believe you can go wrong. The current pricing is a bit high but I still believe it represents good value. I enthusiastically recommend it!